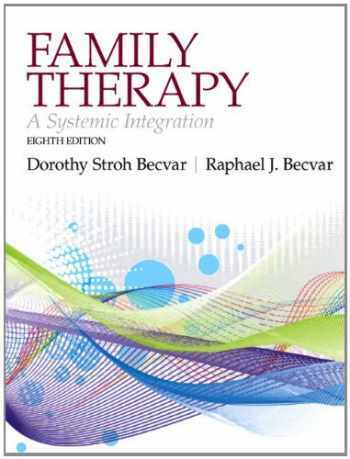 Author: Dorothy Stroh Becvar Ph.D., Raphael J. Becvar Ph.D.
Acknowledged author Dorothy Stroh Becvar Ph.D. wrote Family Therapy: A Systemic Integration (8th Edition) comprising 456 pages back in 2012. Textbook and etextbook are published under ISBN 0205168132 and 9780205168132. Since then Family Therapy: A Systemic Integration (8th Edition) textbook received total rating of 4 stars and was available to sell back to BooksRun online for the top buyback price of $46.13 or rent at the marketplace.